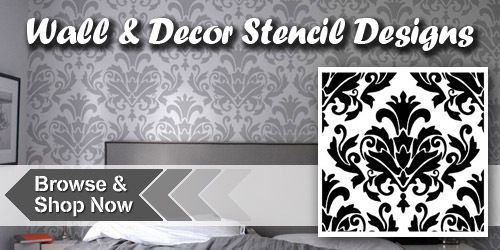 Our reusable stencils are easy to work with! With over 20 Categories of stencils, we’re sure to have a design to suit your need. 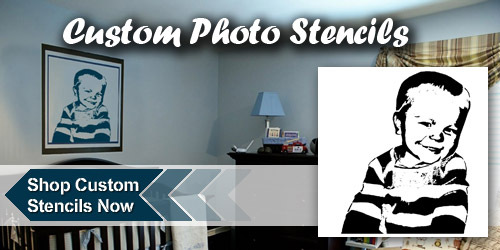 You can use our stencils to decorate your walls, create t-shirts, decorate cakes, label your belongings, create signs, or just create fabulous works of art. 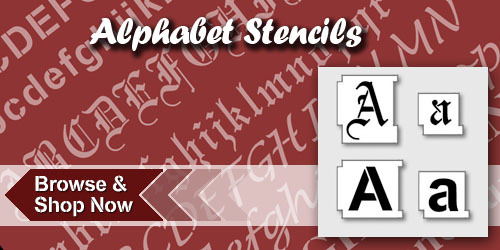 We also have a Custom Order Form for those who want a stencil of a name, word or phrase. 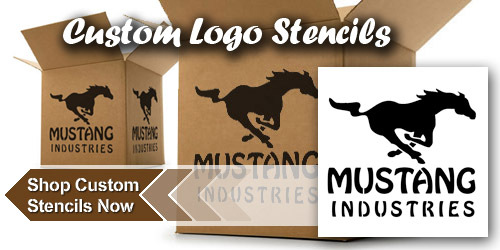 We also can create Custom Stencils from your logos, photos, or designs. All U.S. orders ship by Priority Mail for a flat $5 rate. So you’ll quickly receive your order. Thanks for visiting!